Fitzpatrick Family Vineyards is located at the historic Greata Ranch property, situated between Peachland and Summerland. Opening its doors in Spring 2018, the 8,000 case boutique winery mainly specializes in traditional method sparkling wine, while also producing still wines on its 40-acre property (chardonnay, ehrenfelser, riesling, rosé, gewürztraminer, pinot blanc, pinot noir and meritage). Positioned in an unique area by Okanagan Lake and east of Mt. Eneas, the vineyard is set up perfectly for the production of sparkling wine, crisp whites and elegant reds. Vine age: their oldest vines are now entering their third decade, producing quality and mature fruit. Sarah Bain began her path in the wine industry in 2004. She built her career at two leading organic and biodynamic producers in Central Otago, New Zealand. Sarah has since worked vintages across California, Germany and Canada. The Fitzpatrick family will inspire you to gain an appreciation for the nuances of producing traditional method sparkling wine. Head to their ‘sparkling bar’ for tastings or join a sparkling wine tour to get an in-depth peek of their definitive culture. After working many years in the tech industry, Brennan Colebank left to pursue his dream of starting a craft distillery in the Cowichan Valley. Brennan’s true passion in distilling lies in creating new and exciting spirits from BC farm produce. His favourite projects involve aging spirits in wood, and experimenting with different barrels types and distilling techniques to produce fine spirits. When he’s not distilling, Brennan spends most of his free time on the river or ocean. Alongside their tasty products, Stillhead Distillery is committed to supporting local habitat restoration and donates to local environment focused charities. A classic London dry style gin, with a BC botanical twist! A clean and smooth vodka perfect for any cocktail. Infused with local, wild Blackberries and no artificial colours or flavours. Beautiful and elegant wines crafted from cool climate grapes, perfectly suited to Vancouver Island's unique terroir. Andy and Wendy Johnston started Averill Creek in 2001, finally pursuing their passion for wine after long careers in the health and financial industries. Joined by winemakers, Daniel Dragert and Mira Tusz, the Averill Creek team have solidified themselves as one of Vancouver Island’s top producers. Built onto the side of Mt. 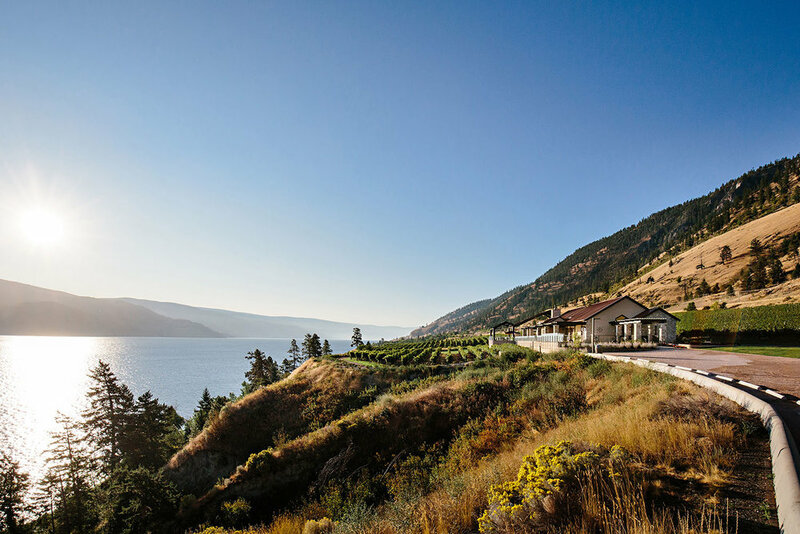 Prevost, the winery features stunning views of Cowichan Valley. The mountain slope creates the perfect opportunity for a state-of-the-art gravity-fed facility, allowing their delicate wines to flow without the use of pumps, protecting their subtle and elegant characteristics. The winery’s innovative process has shown that the wines of Vancouver Island can be complex and thoughtful, aromatic and lively. Averill Creek has gained worldwide attention and accolades from competitions such as Global Pinot Noir Masters, Best International Trade, Wine Access Canadian Wine Awards and more. A lively island sparkler made in the charmat method and expressing vibrant citrus and peach notes with a hint of flowers. The perfect drink to celebrate spring! Bright aromatics of raspberry and watermelon, yet refreshingly dry, this merlot and pinot noir rosé has jucy acidity that makes it a versatile wine with any dish. Serve with friends! Averill Creek's Raison D' Être, and with good reason! A serious, elegant, and silky wine with a complex mix of raspberry, earth, and spice. This one is sure to impress! Just a short drive out to the sunny Cowichan Valley! Clay’s long-time passion for brewing led him to studying at University of Victoria for Biology & Chemistry and Heriot Watt University in Scotland for the Brewing & Distilling Master’s Program. After mastering his knowledge, Clay was ready for the next step. With his family, he took over the Moon Under Water Brewery in 2012. Together they brought this establishment to the next level and it’s now a staple in Victoria. Clay’s creations are influenced by his experience and education overseas, resulting in a wide range of core beers with European flare + a Canadian twist. In 2014, Moon Brewery introduced two new programs that garnered success and excitement: a sour series featuring the beloved Copper Kettle Sour, and line of limited-release barrel-aged beers, such as The Crow’s Nest. These highly-sought after beers are small-batched and aged for 18 months. In December 2017, Clay was ready for more growth and opened a distillery within the brewery. The Moon Distillery has recently launched their first wave of products, featuring Citrus Gin, Orange Vodka and Espresso Vodka, all made with local malts, fruits and botanicals. Head over to Moon Under Water and pay them a visit!